​FINDING SPECIES, INC (www.findingspecies.org) was founded in 1996 and formally incorporated as a 501(c)3 non-profit organization in 2003. It has US staff based in Takoma Park, Maryland, and in San Marcos, Texas. 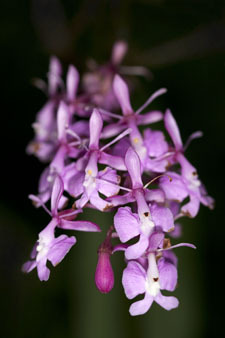 Finding Species maintained an international program in Ecuador from 2007-2012. Ecuador is one of 17 megadiverse countries in the world that harbor more than 60% of the world’s total biodiversity. Finding Species’ mission is to uniquely contribute to the resolution of critical environmental, conservation, and biodiversity issues through aesthetically beautifully, scientifically significant photographs. • Finding Species operates with minimal overhead, prioritizing key areas of program investment. Finding Species work always reflects responsibility, teamwork, professionalism, artistic creativity, honesty, respect, idealism, commitment, courage and enthusiasm with the highest aesthetic quality.